Just place a mold on the clamp unit of the AAC, input digits, and press the START button, then the workcycle (clamp, forward the mold to the nozzle, receive wax, hold it until wax gets hard, and unclamp) will be done automatically. The rubber mold is always aligned with the injection nozzle of the wax injector by the 'Lateral Flexibility Mechanism' of the AAC. 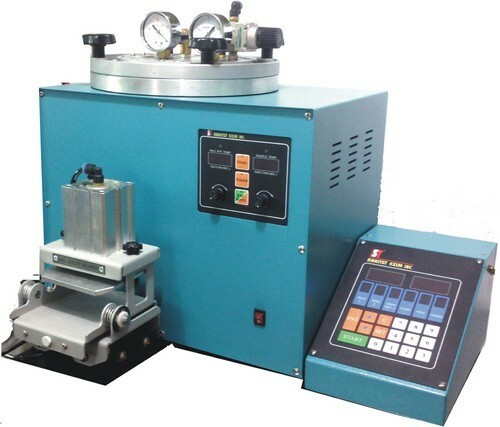 10 different parameters of Press 1, Press 2, Time of starting press 2, Clamp, Forward, Hold time can be stored. From 10,000 combinations of wax shooting, you can choose the optimum combination easily.